Make your white work truck advertise for you! We get a growing number of requests for truck wraps each week. 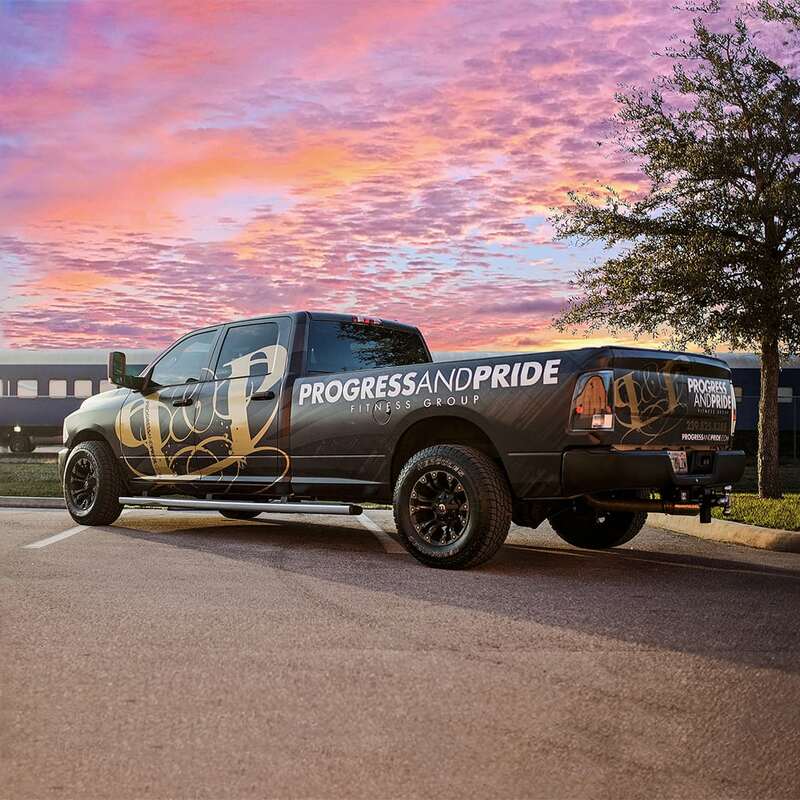 From independent contractors to vehicle fleets; contour cut graphics, vinyl lettering, and full wraps are the best way to brand your service vehicle. Most contractors know a sharp-looking truck is good for business. It instantly turns even stock white utility trucks into business generating attention grabbing tools that turn the people driving beside you on the road into leads. Even businesses that purchase a company truck for hauling, delivering or just driving. Our vinyl wraps are a powerful way to advertise your business while completing day-to-day work activities. Are truck wraps just for contractors? No! Truck wraps can be more for just contractors! We’ve done many custom jobs for personal use vehicles as well. From camouflage to “murdered out” (matte black) wraps, we’ve done them all! To figure out what the best option for your truck is, we suggest a consultation with one of our vehicle wrap representatives. Don’t just wait for customers to call you! Present them with a moving billboard they won’t forget. Check our some of the truck wraps we’ve done in the examples below or on our Facebook page. If interested in learning more, contact us today!